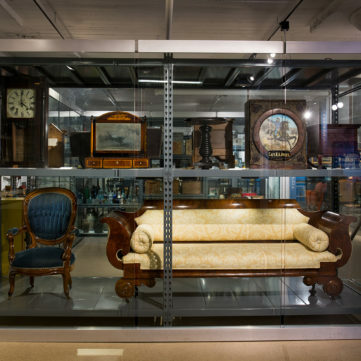 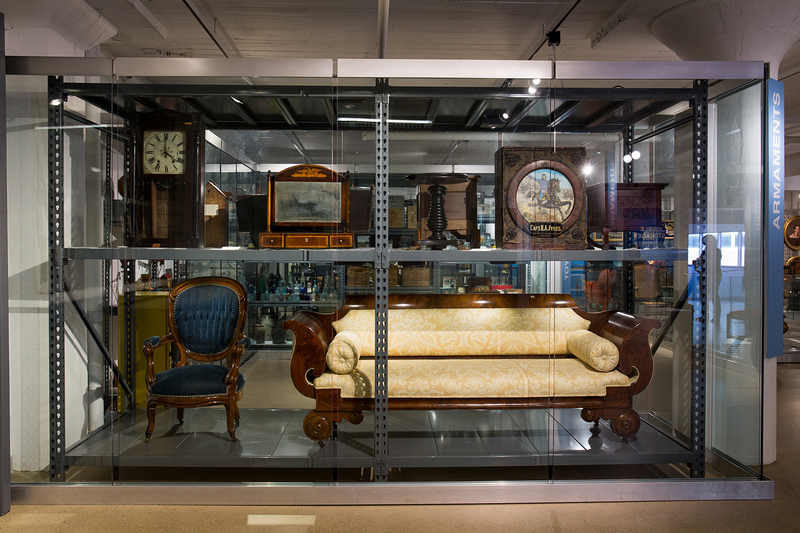 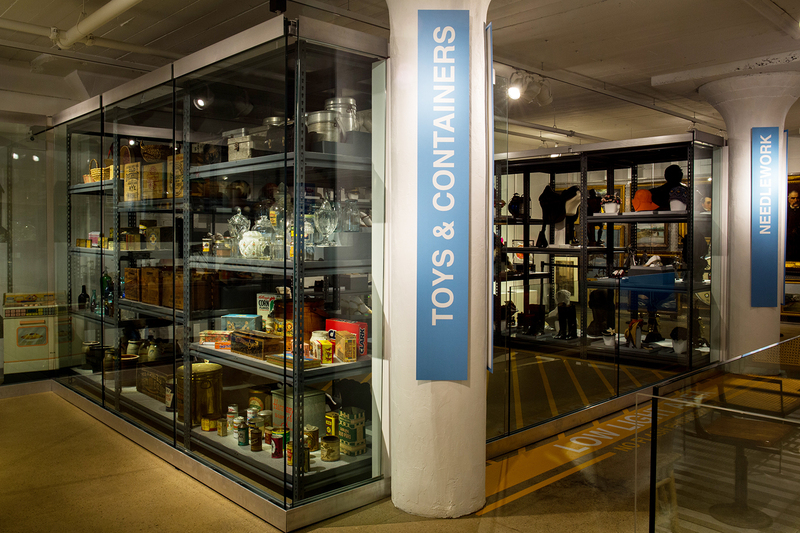 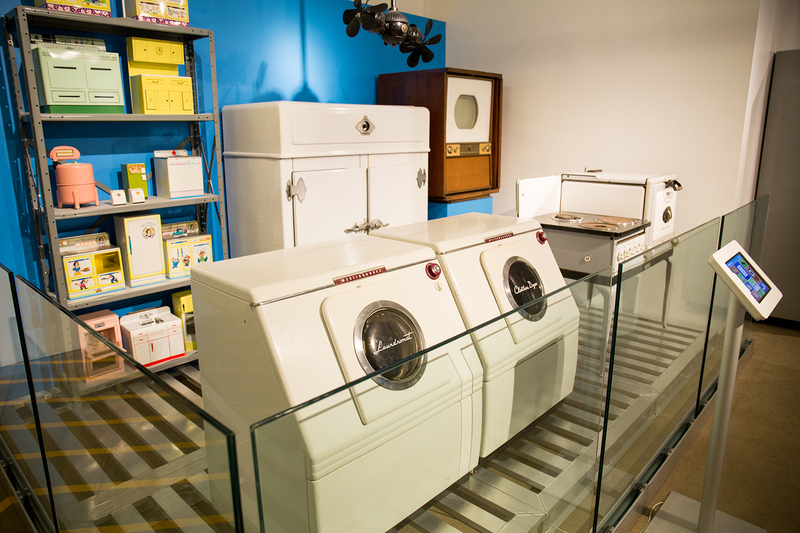 Visible Storage, located in the Sigo Falk Collections Center on the History Center’s fourth floor, provides visitors with a behind-the-scenes look at the museum’s collection. 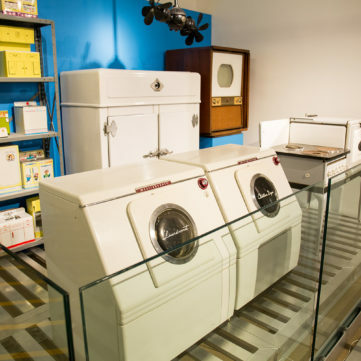 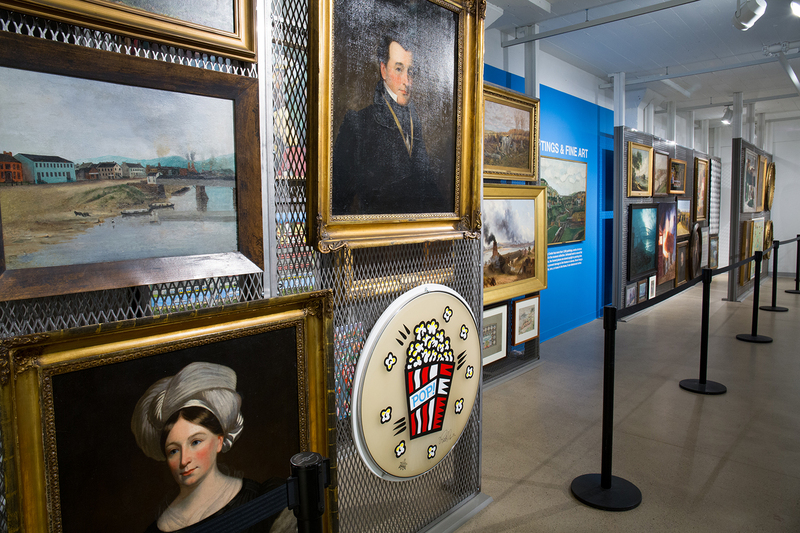 The space showcases an unprecedented snapshot of how the museum preserves Western Pennsylvania history for current and future generations, revealing more than 1,200 artifacts from the History Center’s vast collection of more than a million objects. 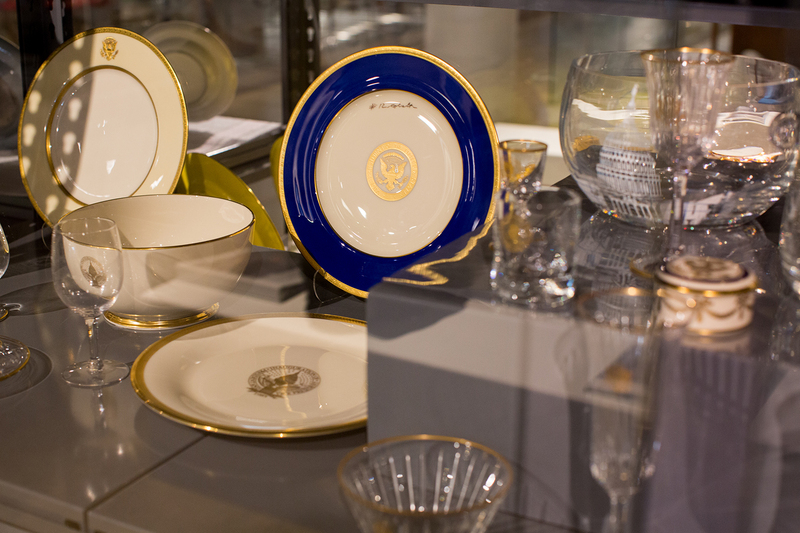 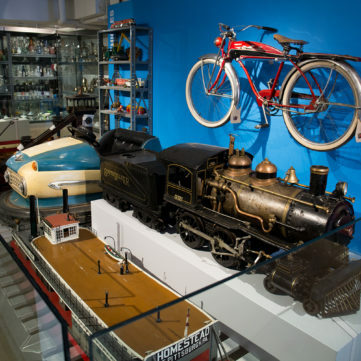 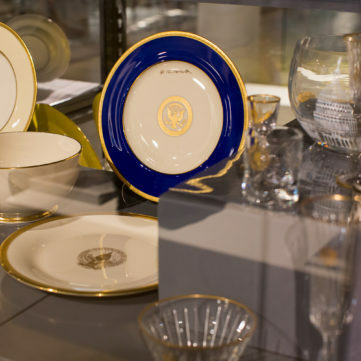 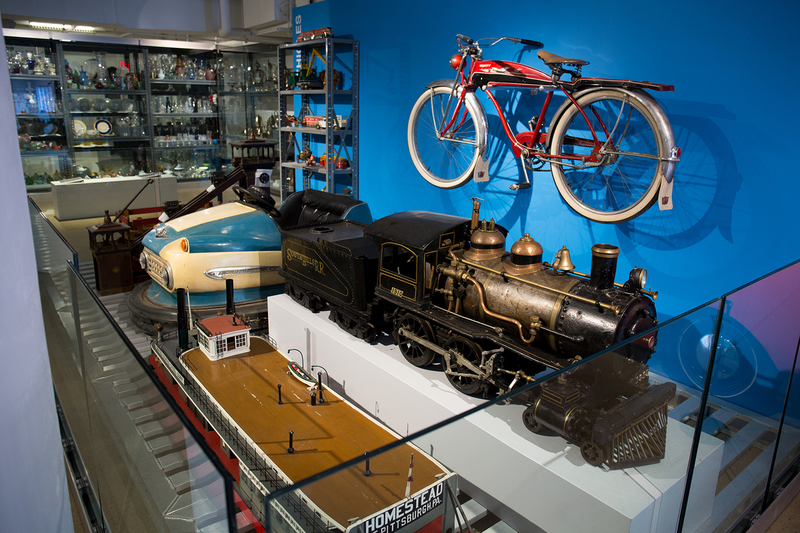 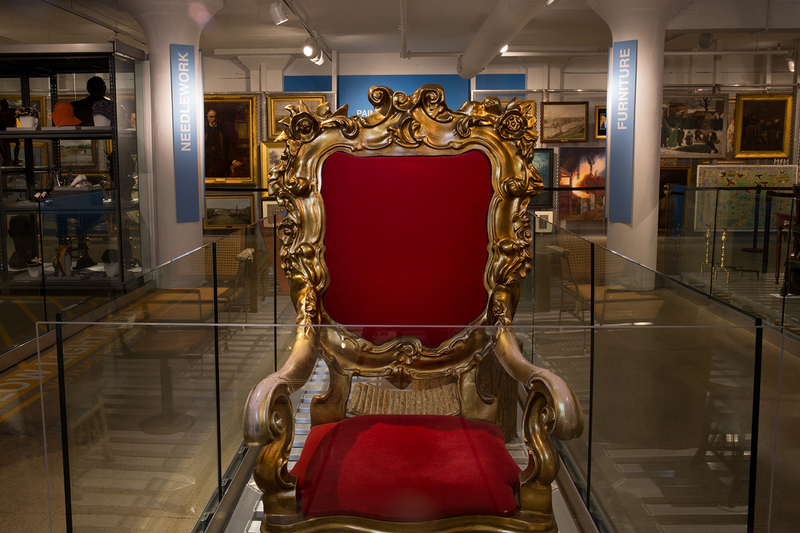 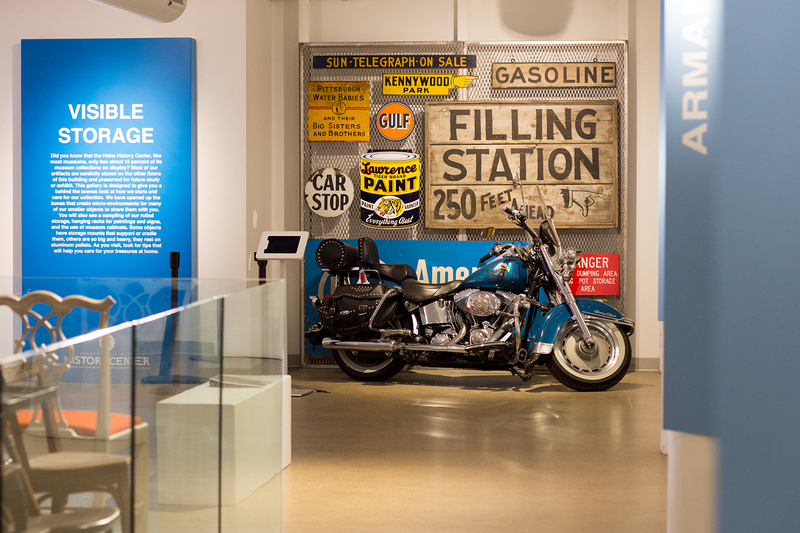 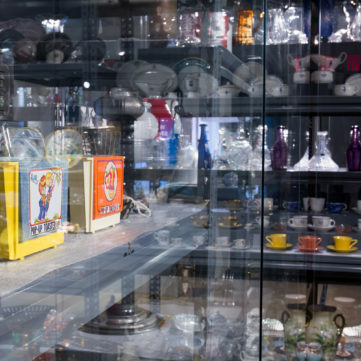 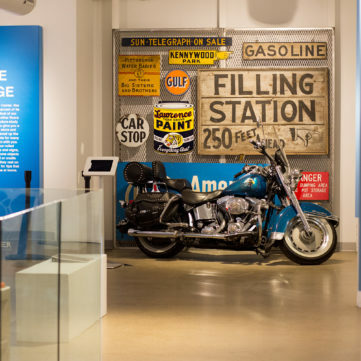 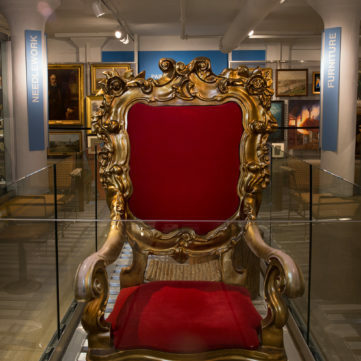 Artifacts ranging from George and Marguerite Westinghouse’s Tiffany china to John Cigna’s legendary Harley-Davidson motorcycle provide a sense of the huge variety found in the History Center’s collection. 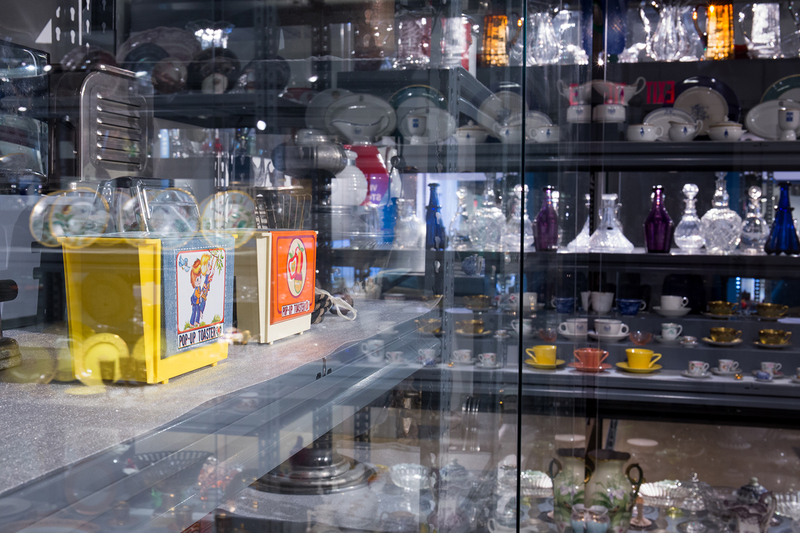 Objects in Visible Storage are organized by type, including household appliances, silver, toys, glass, armaments, paintings, and much more. 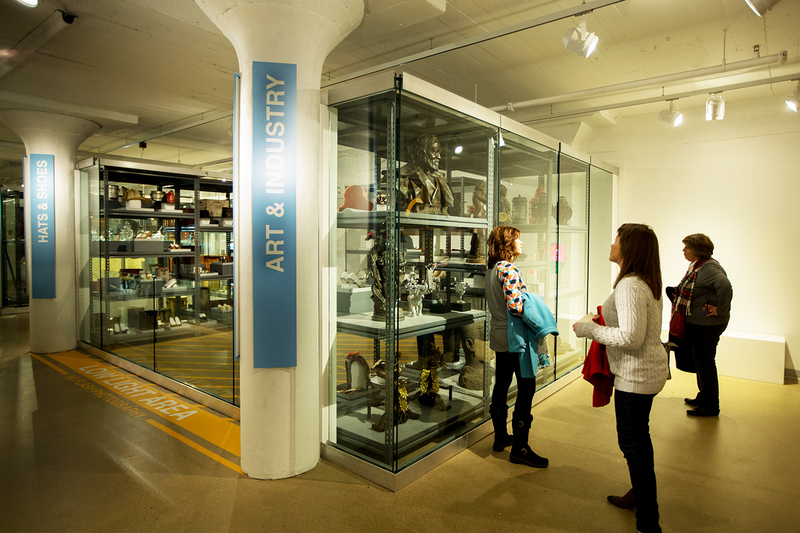 In addition to the artifacts on display, visitors to Visible Storage will see museum professionals in action as they process new artifacts and prepare them for exhibit in the photography studio and mount-making workshop. 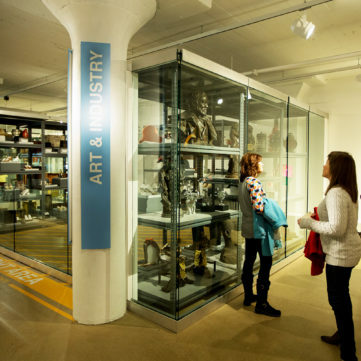 Visible Storage, which is part of the recently opened LEED Gold certified Museum Conservation Center, is accessed via a sky bridge across Mulberry Way from the Special Collections Gallery. 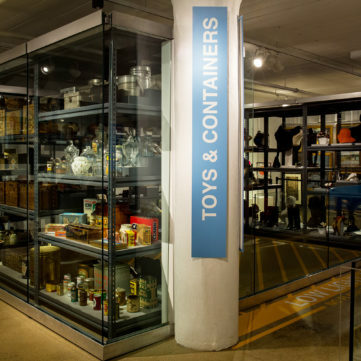 Support for Visible Storage was provided by The Falk Foundation and the Hillman Foundation. 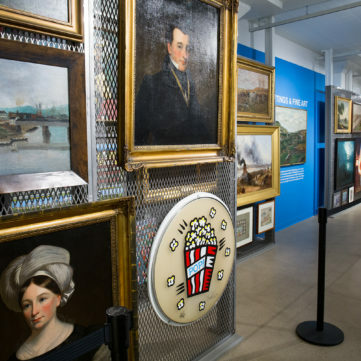 Paintings by noted regional artists, including A. H. Gorson, John Kane, Russell Smith, and Burton Morris.